The key to making a baler last is maintenance. 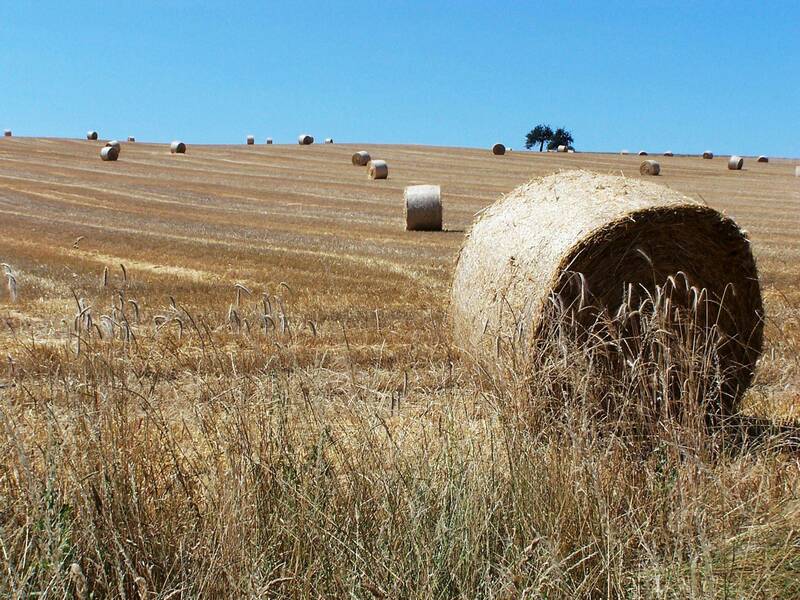 With proper maintenance a round baler can last for many, many thousands of bales without trouble. Maintaining your baler is also key to preventing fires, usually caused by bad bearings. It is best to read your owner's manual carefully and follow its suggested procedures. Before a day of baling, go through the baler and check all bearings, make sure your belts are in working condition and your tires are properly inflated. Next you should grease all zerks on the baler including any on the pto driveline. For greasing I recommend purchasing the LockNLube Grease Coupler, this saves a lot of time and grease as the grease goes in the zerk instead of all over the place. It has saved me a lot of frustration and makes greasing equipment a little enjoyable, a little. Next you should oil your chains and check them to assure their in proper condition. Also check all hydraulic hoses and fittings for leaks. Lastly make sure your pickup head is set to the proper height. While baling keep a close eye on your belts to make sure they're tracking properly. Also watch your pickup head for obstructions or broken teeth. A small blockage in your pickup head can become a big issue real fast. Periodically check your bearings to prevent a baler fire. I use a Laser Infrared Thermometer to check the temperatures of each bearing, just compare it against the other bearings, if one is abnormally high, you may have a problem. Also if you have a full day of baling you should grease the baler again, usually easiest to do around lunch time. After you’ve finished baling for the day check over the baler, and clean the dust, dirt and hay off of it. Many people use leaf blowers to do it, which I've heard works quite well, some use pressure washers, I use a wand that attaches to my air compressor, called a Nozzle Blow Gun. However you do it, it is a dirty, dusty job and you may want to wear a mask and safety glasses. It is necessary to keep your baler clean as round balers have a tendency to accumulate dirt and old hay.